It’s been another fantastic year at i-escape, thanks in no small measure to the superb service, stylish ambiance and cutting-edge cuisine offered by our 1,400 hand-picked hotel, guesthouse and villa partners. Here we offer humble praise and gratitude to those who went the extra mile to achieve near-perfection. That’s according to verified feedback scores (and comments) submitted by genuine i-escape guests: no fakes, no commercial interests – guaranteed. You’ll find the category winners at the top, and below that the regional victors. Portuguese and Greek hotels scooped an impressive number of awards – especially so in these tough European times – while it’s nice to see Sri Lanka back on the list, and appearances from Belgium and Turkey too. On a separate note, we’ve also taken a long hard look at those which aren’t quite achieving the stellar standards we expect from an i-escape hotel. Nearly 100 of them have this year “made way” for new places to join our collection, and – gratifyingly – several of those have picked up awards in their first season. Congratulations to one and all! A big hand for Julia and Tarkan, who own these boho-chic self-catering apartments in one of this year’s hottest cities. 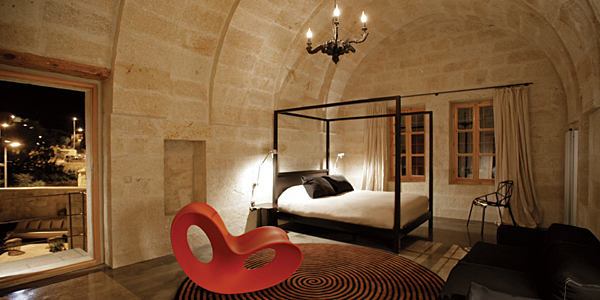 New to i-escape in 2012, they topped the list with 100%: none of our guests could find any fault at all! “Great attention to detail, brilliant customer service, scrupulously clean and a fabulous location”, wrote one – which says it all, really. And a special mention for No 46 in Prague (97%), a 2011 winner which continues to delight. This is how B&B should be done: homely yet stylish, with “faultless” personal attention, ultra-comfy beds, “wonderful” breakfasts and “fantastic value for money”. The “180-degree views of Chania harbour and snow-capped mountains” help, too. “Being welcomed at Mama Nena’s feels like coming home after a long, long journey”, says one guest, while another calls it “one of the nicest i-escape places I have stayed in over the years”. And let us not overlook an extremely promising first year for the “absolutely stunning” L’Ecume des Jours in Ghent, Belgium (98%). “I wish we could bottle the magic that is Kikili Beach as the perfect antidote to life’s stresses. 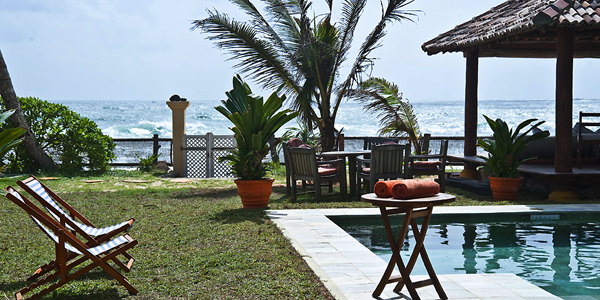 It’s a perfect gem of a beach house in an idyllic spot where you spend long happy hours doing very little other than sleeping, swimming, reading, relaxing, playing games, eating delicious food and soaking up the lovely home-from-home-with-a-tropical-twist atmosphere”. Thank you, Peter, we have nothing to add! Just a word of praise for Villa Metato (97%) in Italy, which won last year and is still “a perfect retreat in the middle of almost nowhere”. Portugal’s Alentejo region is one of Europe’s best-kept secrets, and this stylish rural retreat epitomises its sleepy charms. 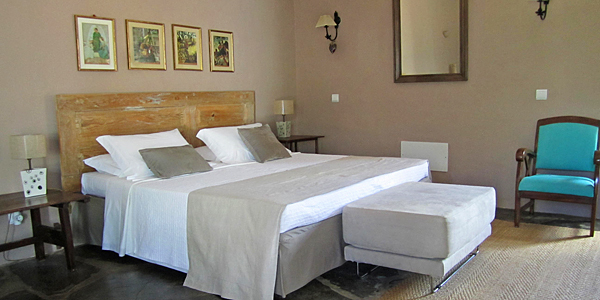 Wonderful gardens dripping with figs and vines; a blissful pool, rustic-chic rooms and a charming owner, Orlanda. Expect “long lie-ins, delicious breakfasts, exquisite fruit, and lots of lounging by the pool”. “Really relaxing and quietly beautiful” agrees our editor Liz – who visited last year (we revisit all our properties every couple of years: it’s a tough job, but someone has to do it!). 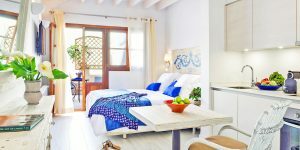 And congratulations to 2 stunning island escapes – Anemomilos Apartments on Folegandros (Greece) and Hotel Salvia on Mallorca (Spain) – who also got 99%, but from fewer votes. A long-time favourite of our editor-in-chief Michael, it seems that word has finally got out. 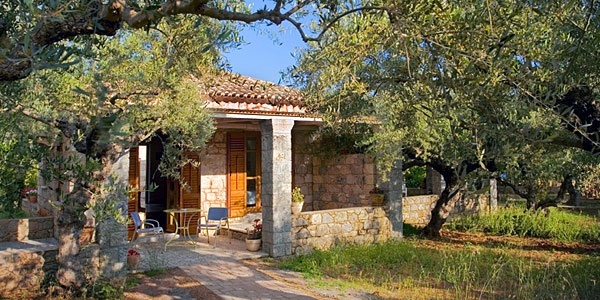 These gorgeous stone cottages, tucked among olive groves on a secluded beach in the Greek Peloponnese, are the perfect place for an off-the-beaten-track family holiday, with swimming, hiking and great food in Kardamyli’s seafront tavernas. “One of the most delightful holidays we have ever experienced”. Hear hear. If that’s full, Eleonas on Crete (96%), one of last year’s winners, is still garnering rave reviews. This remote but spectacular cluster of stone houses in rural Portugal has received nothing but praise since joining i-escape 2 years ago. “Beautiful setting, amazing cottages filled with gorgeous handpicked artefacts, great hosts, lovely warm breads, cheeses, handmade jams and own label wines delivered daily…”, not forgetting “the wonderful grounds, swimming pool and hammocks”. “100% satisfaction guarantee”, promises another guest. And a special mention for Terrace Houses in Turkey (96%), one of last year’s winners but pipped to the post this year. Of all the weird and wonderful lodgings on our site – tented camps in the Serengeti, boatels in Copenhagen or Amsterdam, treehouses in Morocco or Australia – this super-cool cave hotel in Cappadocia takes the prize. Another newcomer this year, guests rave about the “excellent service” from Eren, who “goes above and beyond the call of duty” in arranging balloon rides and hire cars, and the breakfast which offers “so much choice that we didn’t know where to start!”. “A highlight of our trip to Turkey”, says Kristina. 4 Rivers Floating Lodge (93%) on Cambodia’s Tatai River is also commended for its “spectacular setting”, “complete peace” and “trips to waterfalls and fishing villages”. In less than 12 months, this architecturally stunning 3-bedroom B&B on Devon’s south coast has shot to the top of our 100-strong UK portfolio – itself the crème de la crème of boutique British hotellerie. That’s no mean feat. Guests praise the “fantastic breakfast”, “immaculately clean rooms” and “amazing attention to detail” which includes daily “re-fills of Devon fudge”. There’s no doubt that it “would give some so-called first class hotels a run for their money”. And a special mention to Number Thirty Eight in our home city of Bristol (98%, also new this year). Regular readers will recognise the name: winners in 2010 and 2011, Paola and Stefano have kept up the remarkable work for a 3rd year running. “The Zocchis are an incredible couple”, and “kindness itself”; her “cooking is amazing”, his “choice of wines was brilliant” – and they have “a terrific sense of humour too”. No surprise that “we decided to eat in every night as the food was so fantastic – pasta with truffles, wild boar and lots of Tuscan specialities” which you can work off next day on “beautiful cycling routes”. And a big pat on the back for Quinta da Cebola Vermelha, in Portugal’s Algarve, pipped by just 1%: “like a massage for the soul”, said Catherine. Another previous winner, this stunning guesthouse outside Salta in northwest Argentina continues to deliver “exquisite stays” with “perfect, discreet” service and “delicious food, served with great refinement”. Valentina is “intelligent and charming”, while her husband “Fabrizio, with his tour company Socompa, made our short stay unforgettable”. 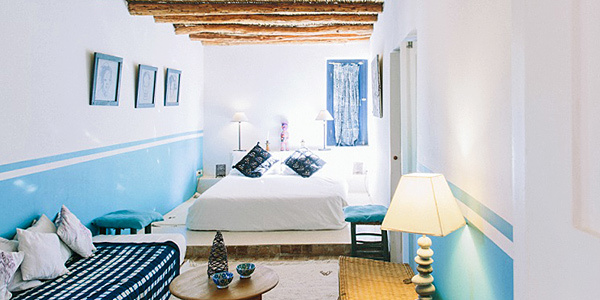 “Baoussala is like paradise”, starts our most recent review of this 6-room guesthouse near Essaouira; “we were slightly perturbed by the long bumpy track, but when we reached the hotel, all worries were blown away”. The style is “Parisian with a chic Moroccan twist”, the pool and tortoise garden are “highlights”, while “Dominique is the perfect host” and “the cook is a genius”. High praise, indeed. Of the 3 Asian hotels scoring 98%, this colourful and charming Goan guesthouse edges it by virtue of having the most guest-feedbacks. “Away from the crowded beaches but close to the quiet southern ones”, “Carole and Norman have created a wonderful retreat” which stands out for its “happy, sociable environment”, “on-site massages with the lovely Sarla”, “personalised trips” with driver Ramdas, and “5* fusion meals cooked by Joanita” … with a supporting cast of “very friendly dogs, cats, frogs and monkeys”. The other 2 near-winners, both in Sri Lanka, were Ceylon Tea Trails (“sublime retreats” which “transported us to another time in history”); and Illuketia (“one of the nicest hotels we have been to!”). Small print: we only counted properties with at least 5 guest scores, and weighted them towards those with most scores submitted. Scores can only be submitted by guests who booked through i-escape. If you have booked through i-escape but forgotten to score your hotel/villa, it’s not too late – just log in and submit your marks out of 5. We only publish a selection of comments, but we count all scores submitted.